It’s the fishing village on the South Devon coast that continues to captivate all those who visit. 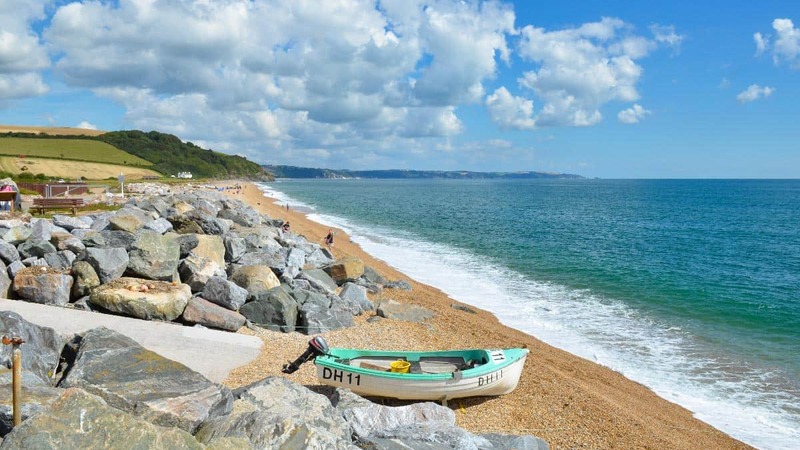 With its mile-long stretch of shingle beach and stunning views of Start Bay, the historic village of Beesands is the perfect choice for a memorable weekend stay or short break by the sea. 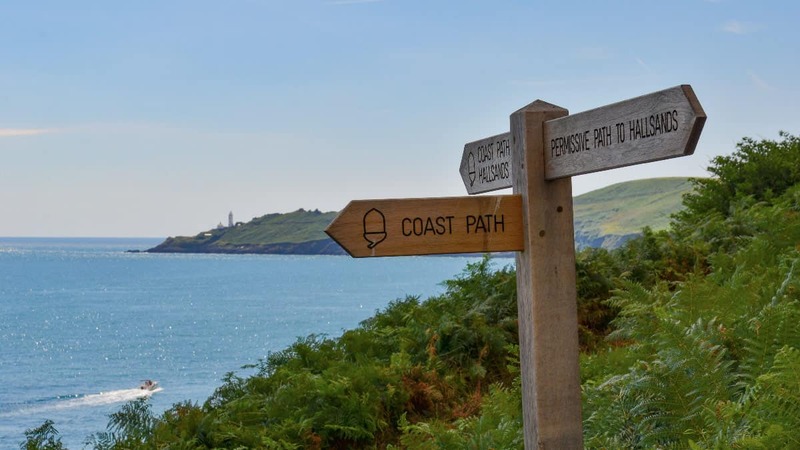 Surrounded by gorgeous countryside and dramatic headland, Beesands lies between the neighbouring villages of Hallsands and Torcross on the spectacular South West Coast Path. 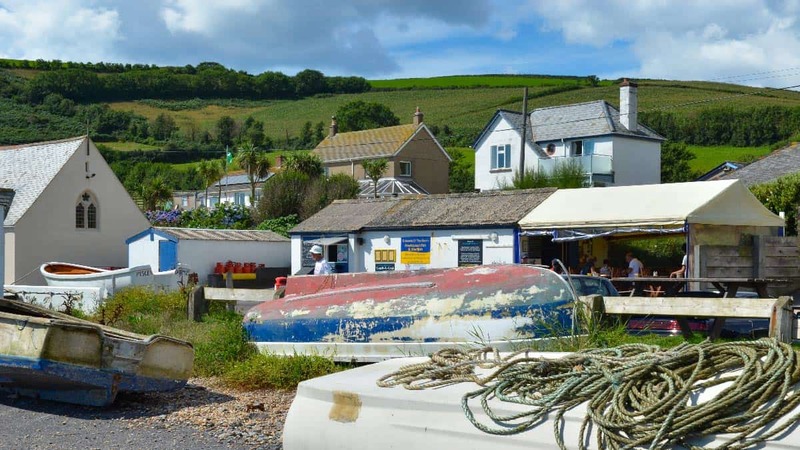 Once renowned for its busy lobster and fishing fleet, the village keeps alive these honest and hardy traditions; its catch of the day still regularly chalked up on the local menu boards. As much as it remains popular with ramblers picking up the coastal trail, Beesands is also a haunt for anglers who can be seen dotted along the foreshore waiting patiently for the mackerel to bite. It’s here, in the heart of an Area of Outstanding Natural Beauty and surrounded by the sparkling ocean with its gentle push and pull across the shingle, that you’ll find some of Toad Hall Cottages’ most lovely holiday properties, full of comfort and charm and brimming with character. It’s the perfect location for a quick family break or romantic weekend, plus many of our Beesands cottages are dog-friendly – ideal if you love the thought of an exhilarating walk along the stunning South Hams coast with your four-legged friend by your side. After a late breakfast and a well-deserved lie-in, it’s time to go exploring along the breathtaking South Hams coastline. Pick up the South West Coastal Path and head towards the neighbouring coastal village of Torcross and its magnificent stretch of pebble beach. Here, you’ll also discover Slapton Ley Nature Reserve, the largest natural freshwater lagoon in the West Country and home to an abundance of wildlife. 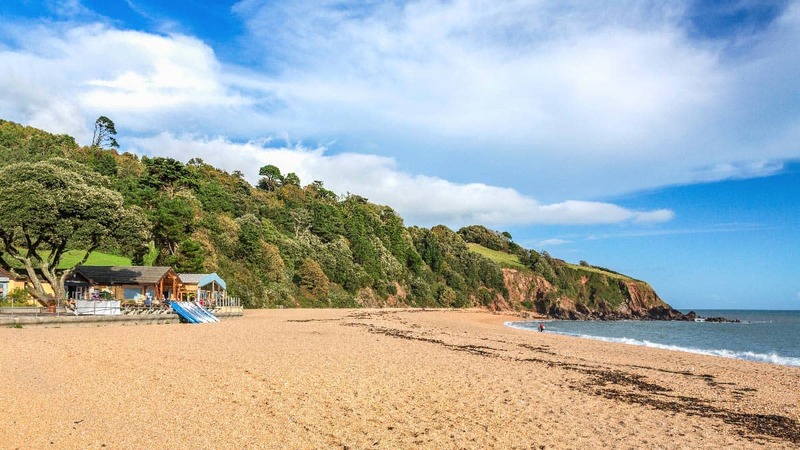 Further up the winding coast is Blackpool Sands, a beautiful golden sandy bay with crystal clear waters. Enjoy an alfresco lunch at the Venus Beach Café or grab a table at the Start Bay Inn and tuck into a plate of fish ‘n’ chips whilst taking in the sweeping sea views. In the afternoon, follow the coastal road to the historic maritime town of Dartmouth, famous for its busy port and fabulous river mouth setting. Explore the medieval streets and historic quays; a bustling centre for galleries, boutiques, marinas, bars and restaurants. It’s time to cosy up back at your holiday cottage but not before a trip to your local, The Cricket Inn, where you’ll find a sumptuous menu and an ample selection of locally brewed ales, all topped off with a moonlit stroll along the beach. You’re up, bright-eyed and bushy-tailed. On the shingle beach, the anglers are baiting their hooks as the morning sun glints the gentle lapping tide. After a relaxing walk around Widdicombe Ley and a spot of bird watching, it’s time to pick up the coastal path once again, this time headed towards the famous ruins of Hallsands village. A mile further along the peninsula, past the nesting kittiwakes, you’ll find Start Point and its spectacular grade II listed lighthouse: what better place to roll out the blanket and enjoy a picnic lunch. If you’re feeling more adventurous, continue along the coastal path to Lannacombe Beach; a secluded sandy bay shouldered by rocky cliffs, and further still, towards East Prawle and the world-famous Pig’s Nose Inn, renowned for its quirky music hall and sell out gigs (check ‘The Pig’s’ upcoming events page and see if anything grabs you). The sun is setting on a memorable day filled with fresh sea air and magnificent coastal views. If you’re in the mood, why not head to the nearby market town of Kingsbridge with its pretty promenade, award-winning floral displays and welcoming pubs. Enjoy a waterside supper at The Crabshell and perhaps finish the night off with a meander along the estuary, catching some live music at the jolly Creeks End Inn. It’s time for home: where the stars are scattered across the night sky and the only thing you’ll hear is the soft wash of the sea against the shore and maybe an owl’s hoot. Blissful. Spend the morning relaxing in your cottage and then perhaps capturing your favourite spots in Beesands through your camera lens. Sit down for a late breakfast or ‘brunch’ at ‘The Shack’ and enjoy some of the freshest seafood the South West has to offer. This morning we’re heading westerly along the coast to discover more of the South Hams, starting with Bantham Beach; a gorgeous stretch of sandy beach at the mouth of the River Avon that’s extremely popular amongst watersports enthusiasts (check out The Gastrobus for a few taste sensations). Here, you’ll also find Burgh Island, The Pilchard Inn and the legend of Tom Crocker (famous West Country smuggler). If the tide is high, you can hitch a ride on the sea tractor across the sand bar. Further along the coast is the historic fishing village of Hope Cove, sheltered by the dramatic headland of Bolt Tail and home to two beautiful beaches. If you’re feeling peckish, why not grab a bite to eat at the Hope & Anchor, one of the South Ham’s many dog-friendly pubs, or a frothy coffee at The Cove (another live music venue with a burgeoning reputation). From here, you can easily join the South West Coast Path for another chance to lose yourself in more of those spellbinding clifftop views across Bigbury Bay. Next up, an afternoon in the pretty seaside town of Salcombe, the perfect way to round off the very best of glorious South Devon. With its fabulous views across the harbour towards East Portlemouth, the narrow streets of this adorable sailing town are lined with fashion boutiques, artisans’ workshops, cosy pubs, cafes and restaurants (and keep your eyes peeled for the odd celebrity or two). A short walk from the town centre is North Sands beach, location for The Winking Prawn and the ruins of Salcombe Castle, whilst over the tree-lined hillock is South Sands beach and the stunning subtropical gardens of Overbeck’s. Wishing you were here? Toad Hall Cottages can help make it happen! Check out our long list of holiday homes for weekend breaks.